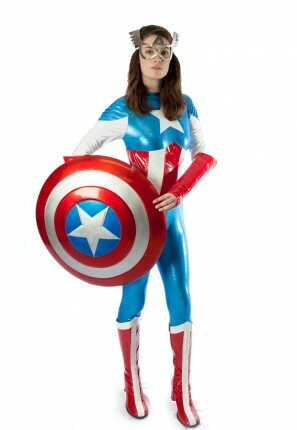 Inspired by Captain America this female Miss America dream super hero costume for hire. Team up with Captain America to fight crime. 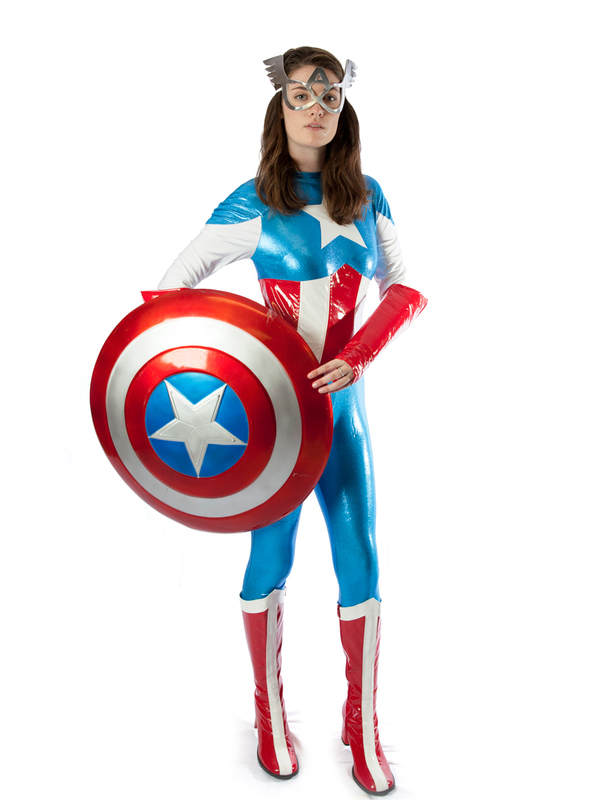 Perfect for your super heros and crime fighter themed party.